This is a “headshot” from a series that seems to have gone on a lot longer than I had realized, until I began to look back at what I had. There’s probably enough now to mount a show. They are almost all the same size, 14 x 17, and all are riffs on the human face. The idea is that the human face has a set number of elements and that these elements are pretty much arranged in a standard way. And, given those constraints (or perhaps in spite of them), the objective is to pick up something that can make a mark and go have some fun. I have always thought that making pictures involved resolving a conflict between what is there and what could be there, if things got out of hand. For this reason, I am bothered when art students knock themselves out to make slavishly accurate representations of reality. One possible reason: I was never disciplined enough or cared enough to be very good at it. But, that aside, it’s so pointless to strive to perfect realism when we have cameras. And, in any case, those “realistic” results, while perhaps accurate, are typically lifeless and boring. Making pictures should involve letting your craziness, even lust, slip out, rather than exerting tight control. 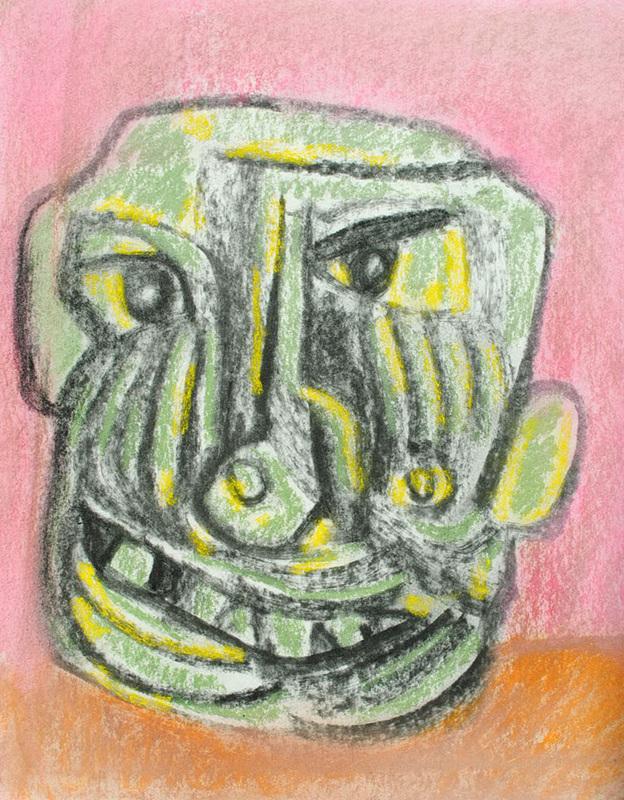 This entry was posted in Uncategorized and tagged drawing, figurative, multi-media, oil stick. Bookmark the permalink.